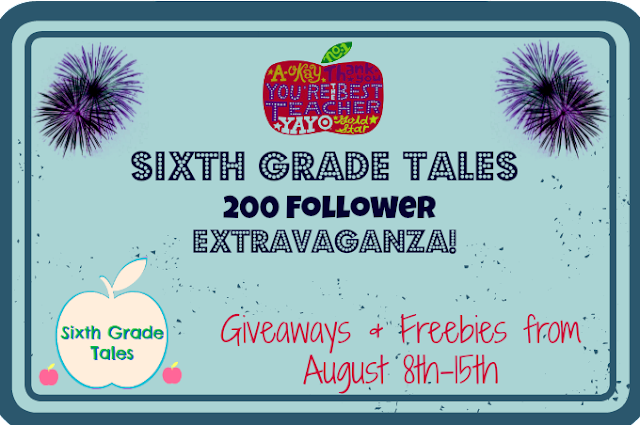 Sixth Grade Tales: 200 Follower Extravaganza! Angela, Erin, Dawnn, Elizabeth, and Meredith for donating items from their store! There will be two different giveaways. I will be donating a $10 Target giftcard to the first winner. I love Target for their Dollar Spot and buying things to make all the Pinterest ideas I find. 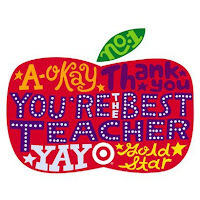 Even if you aren't a teacher, who wouldn't want a Target giftcard? 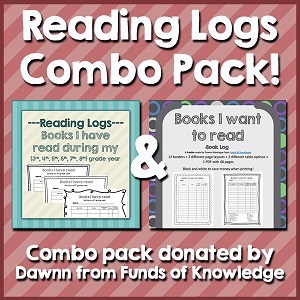 The second winner will receive an awesome Reading Logs Combo Pack and there choice of an item from 4 different TPT stores! To enter these giveaways use the Rafflecopter at the end of this post. Make sure Rafflecopter has your correct email address for me to contact you with. The giveaway will run until next Thursday and I will announce winners on Friday! Keep checking back daily as I will be revamping my blog design and adding several free products to my TPT store. I'd also love to have a few guest bloggers during the week if anyone would like to contribute a post about getting ready for back to school. Please use the contact form in my right sidebar if you'd like to participate. Thanks again to all of my followers for stopping by, I look forward to getting to know you all. Introducing my first TpT product!